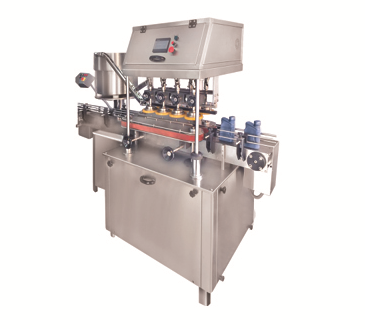 Automatic Linear Screw Capping Machine is a high speed capping applicable for round, rectangular and most irregular bottles. A noiseless cap elevator to unscramble and feed caps for capping system. Unique design requires no change parts and no tools when changing caps size. Custom available to meet specific requirement by our customers. 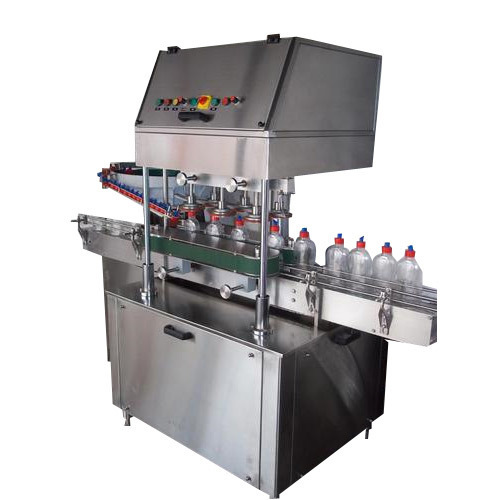 Our Machine is suitable for Pharmaceuticals. Sealing RPM can be varied to suit different gauges and size of caps. No. of Sealing Head :- 6 Nos.